Don’t let a silage accident ruin this summer. 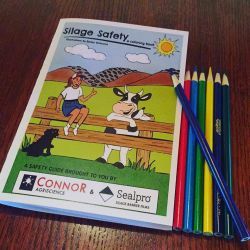 Teach everyone on the farm about silage safety with free, new Silage Safety Coloring Books from Sealpro® Silage Barrier Films and Connor Agriscience, now in both English and Spanish versions. Living near and working around silage can be dangerous. An avalanche, fall from height, unsafe sampling, silo gas – all are possible. Understanding why and how to be safe is important. With school being out, more children will be on the farm and potentially working with silage. Long days and summer’s extra work stress can make anyone complacent. Reminding ourselves and those around us of feed storage danger, and what we can do to stay safe can help. 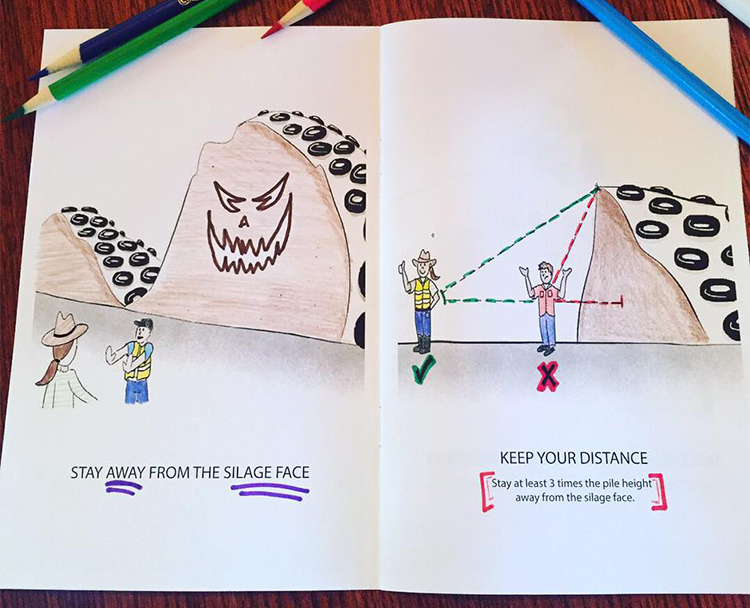 The books make great resources for 4-H, FFA, YFR and collegiate groups, as well as twilight meetings and safety days. A free lesson plan comes with every order. Also perfect for employee tailgates. Free copies are available at www.connoragriscience.com - use the Contact form to order.